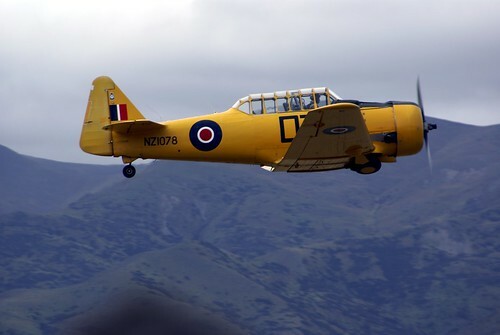 Pick up Grandad, pack up the kids and head to Warbirds over Wanaka. Lake Wanaka in New Zealand's South Island is one of the most spectacular places in the world and at Easter time it comes abuzz with War planes wheeling across the sky. The programme will excite young kids to older war veterans and all those in between. Not only will the planes be darting across the sky but lower down at ground level, vintage stationary machinery, vintage tractors, vintage fire engines and antique Ford vehicles will be on display. In addition to the enthralling machinery, the warhorses and tradestands will delight all. Be there dawn till dusk taking in all you can. The show takes place Easter Weekend from Friday the 6th April to Sunday the 8th April. 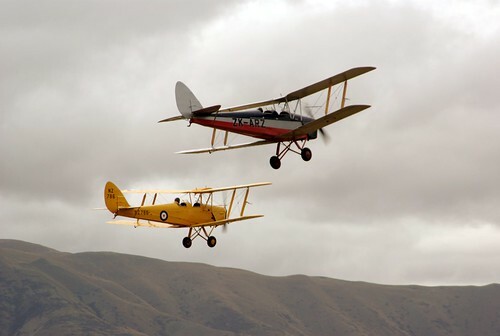 Find out more about the Show at Warbirds over Wanaka. Take the family away for the weekend in a Campervan! Drive from your home town or pick one up closer to Wanaka. Wherever you want one from, find one through Motorhome Republic. With so many lake side campervan parks you'll be relieved you got a camper for the perfect views you will wake up to each morning. Campervanning would be a fun trip for the family. Motorhome Republic has a great special running until the 19th of February, with 4% off your base hire rates on ANY rental in the US and Canada when you book on www.RVRentalSaleFinder.com. This applies to the entire range of vehicles from all the leading north American suppliers, so don't miss out- if you are planning on a US RV hire or Canada RV hire anytime in the future, book before the 19th of February! VW campervans have come a long way from the old but well-loved combi- this is their latest offering. Called the DoubleBack, it slides out to offer double the back- lots more space than in your regular van. This is an innovation to rival the pop-top, and makes for a van that is compact for driving but relatively spacious for living. The slide-out adds 2 metres of usable space, works at the push of a button and has legs to support up to 400kg. Find a wide selection of USA RV rental at RVRentalSaleFinder.com! Pack up the kids, husband/wife or friends and spend Easter Weekend in a Campervan! The perfect way to see the sites of the beautiful New Zealand is from the comfort of a Campervan. Easter weekend , the 6th to 9th of March, gives you four days to cruise around and take in the scenery, friendly people and hopefully lovely weather before heading back to work! What are your plans for Spring Break this Year? After all the studying, you need to have some fun! What better way than to take a Road Trip with all your friends!! The warmest place at this time of the year would be Miami, so why not rent an RV and cruise around in the warm weather, seeing all the sights or heading to any festivals or gigs. Take a look at this Miami Motorhome rental blog for some amazing and fun things to do in and a round Miami. Or, check out this quick 3 day road trip planner from Fort Meyers to Miami just as an idea and to get your plans rolling. 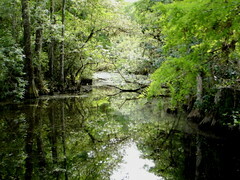 Visit the Everglades or take a scenic loop around Big Cypress National Reserve and stay overnight around the Gulf Coast Visitor Centre. Alternatively head to Clearwater Beach, Florida. The tranquil beach offers countless activities like sunbathing, beach volleyball or rental of fishing boats. If you're more about Museums, Miami museums cover everything from the cultural to the environmental. Find a Motorhome perfect for you and your friends at Miami Motorhome Rental where you can pick up from either Miami or somewhere else in the U.S. You could be paying as little as $546 for a week in an RV with four of your friends! But whats on in Miami? St. Patrick's day on the 17th arouses many festivities around the city. Join in the Irish parties! March greets the Sony Ericsson 100 Tennis Tournament. Crandon Park Tennis Centre on Key Biscayne hosts the world famous tornament, but tickets sell out quickly! For all the reggae lovers, The Bob Marley Festival is held each year at Bayfront Park. This wonderful festival celebrates the life and music of the legendary, Bob Marley. If you're more into Jazz, each March at Dolphin Stadium, the Jazz in the Gardens Festival features world-renowned jazz musicians. Miami International Film festival brings artists from around the world and March also marks the opening of the Miami Dade County Fair and Exposition. The event features rides, food and fun exhibits. Have a look at this handy trip calculator to work out the route you can take and how much gas you'll go through. Have a Spring break you'll never forget! Find a motorhome for your break through Miami Motorhome Rental! Campervan at Splore Outdoor Festival! Immerse yourself in Art, culture and community at Splore Outdoor summer festival! 72 km South East of Auckland, spend this summer weekend (17-19th February) merrymaking, carousing and frolicking in the sun. Listen to great music and engage in dynamic visual arts, a diverse range of theatre, cabaret and performances or dance all day with all your friends! Kids even have a dedicated Rumputs Room zone . With such a well designed program, Splore offers it's punters opportunities to party all day and night or to just relax. And who couldn't relax when the festival is staged on the idyllic Tapapakanga Regional Park. The coast is fringed with beautiful Pohutukawa trees, a fresh water lagoon awaits you and the stunning vista over to Coromandel Peninsula will greet you! Headline acts include USA's Lupe Fiasco, kick push and coast to that after hearing Basement Jaxx, Jamie Lidell, Nikodemus and soo many more! Read more about Splore! But where are you going to stay you're thinking? Hire a campervan for the weekend!! You won't need to worry about port-o-loos, waiting in queues for food or getting wet in the dreaded but hopefully unshowing rain. Mum's can relax knowing the kid's are safe and warm in your camper, or you can lay in there all day and read. If you're more up for a party then it's the perfect base to return to each night knowing you'll get a good sleep and will be ready to party all day tomorrow. With camping sites all ready to go at Splore, drive a campervan on and be the envy of all the other campers! Skimp it and just get the bed campers, or go full out and get your own 'clean' bathroom and kitchenette and beds. Find a campervan for your weekend through Campervan Hire Sale Finder or Campervan Hire New Zealand. Why not enjoy a beautiful summer evening listening to pure kiwi music, surrounded by a spectacular outdoor setting in some of New Zealand's best winery's. Join 'The Winery Tour 2012'. 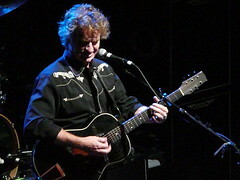 Enjoy a drop of New Zealand Wine while being serenaded by Dave Baxter's dulcet tones and his 6 piece band Avalanche city, dance to Gin Wigmore's raw and emotional voice and reminisce when Don McGlashan and the Mutton birds fire up. With events in Wineries all around the country, even if you're busy when your local show is on, you'll surely be able to catch one somewhere else. The concerts are outdoors so come prepared for rain, hail or shine as the show will only stop under exceptional circumstances. As the wineries are mainly out in the country, the best option is to drive to each place and most have ample parking for you. Why not make a mini h oliday of it and hire a campervan. Easily park it at the winery , enjoy an evening sipping beautiful wine and listening to the best of Kiwi music, then cruise it to a campsite where you can sleep peacefully. Find a campervan in the location you want through Campervan Hire Sale Finder or through Motorhome Republic. This beautiful harbourside town brings you the concert on the corner of Cameron Road and Hamilton street. Sit amongst the vines at Brunton Road, Gisborne. The spectacular Black Barn Vineyard brings you a stunning amphitheatre which has been described as one of the best venues in the country. A 40 minute drive through beautiful New Zealand countryside from Christchurch airport will bring you to the Waipara Winery. Relax for the evening 10 minutes out of Dunedin CBD. Lounge around on a blanket or deckchair listening to the tunes of summer. 21 February - Olssens Vineyard, Cromwell. The spectacular Otago landscape is perfect for a cruise in your campervan with a stop at the Vineyard. Lounge around before returning to the comfort of your camper. Join the tour in one of New Zealand's most famous vineyards, Villa Maria Estate. The Marlborough region produces some of New Zealand's best wines, so enjoy a glass on your thursday evening listening to fantastic kiwi music. Spend your Saturday basking in the sun listening to beautiful music sipping on lovely wine at beautiful Alana Estate Vineyard in Martinborough. Taste the Taranaki vintage in New Plymouth on what will be a beautiful Sunday. Arrive in your camper at the award winning vineyard, Sentry Hill. Start your weekend well at Viligrad Winery listening to beautiful kiwi music. Join the final night of the tour in Villa Maria Estate Winery in Auckland. If you've missed out on all the others be sure not to miss the final night of this fantastic summer event. Don't miss out on The Winery Tour 2012. Catch any one of the many great nights all over New Zealand. Find a Campervan through Campervan Hire Sale finder or Motorhome republic. If you want to fly into your destination - use this handy Car Rental App (for Androids and iPhones) to find a rental car at your destination airport. Auckland International Airport has become the first in New Zealand to offer an on-site campervan facility, for weary travelers who wish to get acqainted with the time zone and their vehicle before leaving on their holiday. The site is a response to demand, and aims to provide a convenient stop near to the aiport and many campervan hire depots. It is around a kilometre from the international and domestic services. Also close by is a supermarket, which is very handy for stocking your van before leaving. Entertainment in the area includes a driving range, mini golf course, high ropes course and paintball! The site is fully fenced and secure, with water, toilets, showers, kitchen and laundry facilities. It charges $40 a day per vehicle. Have a look here for airport campervan rental in New Zealand.